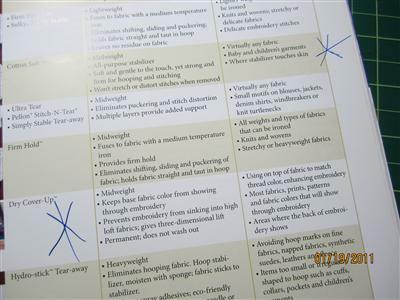 Many embroiderers enjoy reading magazines on line. The latest thing is to put them there for your convenience and a great price - free. Why would anyone want to actually purchase a magazine if you get them for free? That question is gnawing at publishers all over the world. Is the printed word going out of style? Is the editorial going to be written on an Internet site that will get buried under millions of other sites? Where will we be getting our information? Depending on your age, I think the answer is ambiguous but with a certain amount of foresight, it is one that can be a treasure for years to come. 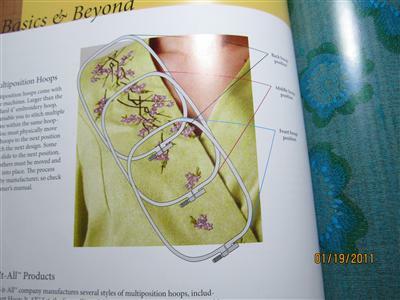 For me, I had given up my Designs in Machine Embroidery magazine last year. I cannot tell you how much I missed getting it in the mail. Mingled in the with bills and grocery fliers (which are becoming more numerous all the time), it was something that I looked forward to with great excitement. 5 hours in my doctor's office, 3 separate visits - Boring!!! 8 hours in the hospital for minor surgery - Where do they get these magazines from??? 3 hours during which my PC was being worked on via an Internet connection - I cleaned my desk, three drawers and wrote a grocery list but was still - Bored! 2 hours waiting for a mechanic when my car would not start at my granddaughter's school - I never knew my alarm system had a 'kill' switch - Boring!! 3 hours at the Post Office - my business keeps me going there for various reasons and that is a real yawner!! 1 hour waiting for my hair coloring (oops, make that my hair-do) to do its magic. 15 hours relaxing at bedtime - I enjoy reading to wind down from the day. Well, you get the picture. I really would hate to see the magazine/newspapers stop printing. Eileen Roche, Editor of Designs in Machine Embroidery has been kind enough to give this crown frame for monograms to all my readers. What I like about Eileen and her sister, Maria Zinno, is that they are NOT corporate people just working for increased profits. They actually get their needles and threads out and come up with great products, ideas and designs. What is better than a real embroiderer creating items like the Thread Pilot and 30 Favorite Embroidery Tips and Techniques- Special promo running this week- Free Shipping and Free Target Ruler with Purchase! 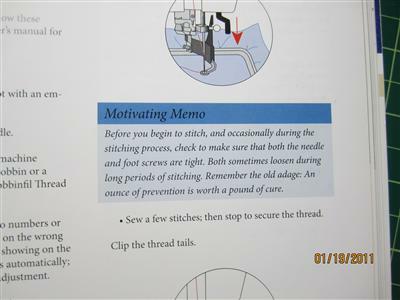 I still use Nancy Zieman's Machine Embroidery with confidence and it is dogeared with nuggets of inspiration and Motivating Memos. I have been embroidering for nearly 11 years, and basic techniques may evolve, but many never change over the years. I mark up items of particular interest to me. I like to keep the special notices by the author. As a writer myself, I have some things in particular that I would like to have the reader remember. I find that visuals are extremely important for me, and I usually try to do many photos for my readers too. I not only have periodicals, but books as well. I use them for reference frequently. 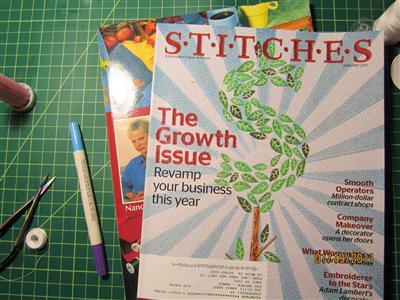 This is for professional embroiderers but even if you just love your hobby, there is always lots to learn from this free magazine. 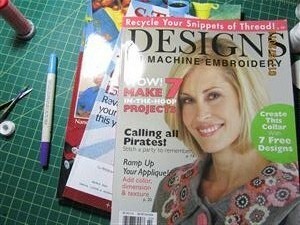 And, my personal favorite magazine - Designs in Machine Embroidery! 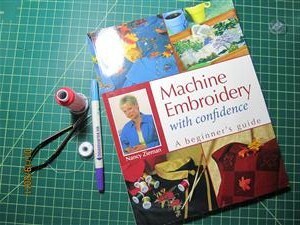 Here is where you can subscribe to Designs in Machine Embroidery. For USA subscribers, you will note that you can also get 148 designs for free! A two year subscription is less than $60, and as you scroll down the page and select the last option, the same price includes the extra designs. 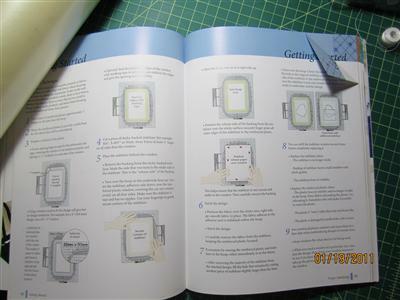 I reread my books and magazines because there is so much good information. I hope you review my blogs from time to time as well. If you have not recently (within the last month) checked your machine tension, you are overdue to take care of that task. Find the tension testing files in my Needle Blog. I love my magazines too. My husband is always teasing me when I get a new one. There is something really fun about getting those magazines. I often read them cover to cover and then again after a few months have passed. They are treasures for me. I cut down on my Quilting magazines, but there are still two or three I still get and wouldn't be without. Sometimes it is a few months on I see a quilting pattern I like and think I now have the time - lets do it! Thanks for the encouragement! I got both magazines!